With rising interest rates and higher costs of living, it’s no wonder so many of us are in over our heads. How can you get out of debt when you are struggling to make ends meet as it is? There is no easy solution, but a few steps in the right direction will see you well on your way to start climbing out of the debt spiral! It’s all about finding ways that works for you. Here are some solutions to get out of debt! 1. Have an emergency fund. An emergency fund is a fund you can use when an unexpected event happens in your family, like a leaking faucet or a torn roofing, or just about anything that isn’t planned. If you have it already, put it in the bank that is separate from your regular account. 2. Take one debt at a time. Find the debt with the highest interest rate and tackle that one first. That’s not to say you stop paying your other debts, but any extra money that might come your way goes straight to that debt FIRST, even if you have to pay minimum repayments on your other debts to get this one paid off. 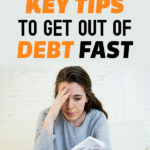 Once it’s gone, you will have a bit of extra money to start tackling the second debt on the list and so on. The first debt is the hardest so stick with it! 3. Take responsibility for your debt. Get out all your statements, balances etc and find out how much debt you are really in; put an actual figure on it. How can you get out of debt if you don’t know how much debt you are in? Putting a figure on your debt is scary stuff. But own it, write it down, put it on the fridge; then start figuring out how to stop that figure from not only growing but owning your life! Find out how much money is coming in and allocate each debt a certain amount. It takes solid planning, dedication and time to get rid of debt. It won’t be easy, but if it was easy, no one would be in debt! 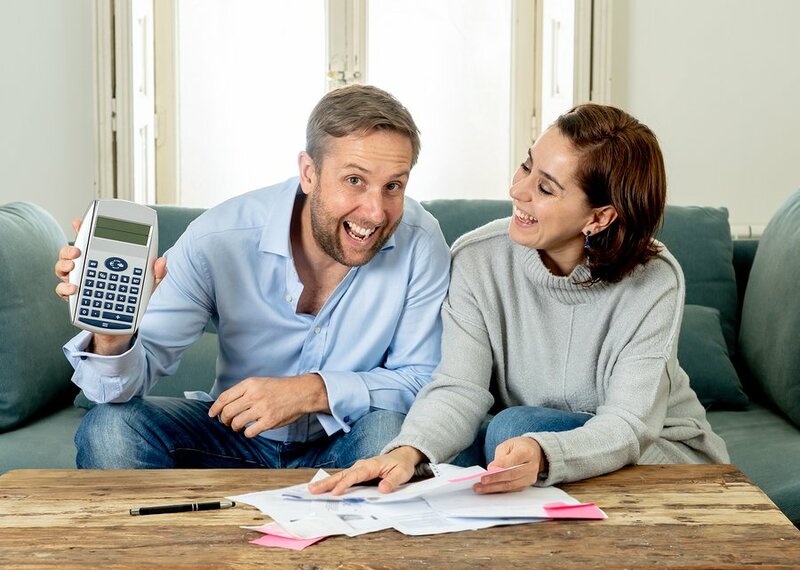 If you don’t have enough money to cover the basics, it’s time to start either considering talking to your creditors to explain your situation to them or looking into a consolidation loan. Perhaps consider taking on some part time work if you can to increase your income, and really pull your belt in and live very frugally to reduce your current spending! 5. Pay off your mortgage early. If you have an extra money, paying off your mortgage will be the wisest decision to make as it will save you hundreds of dollars. Try refinancing your loan from 30 years to 15 years fixed-rate mortgage to finish paying it early. This way, you save more for yourself than spending to pay off your home. 6. Save for your children’s college funding. Children’s education takes a huge chunk out of every family’s savings, especially when your kids reach college. So, try saving now that your kids are still young to put you on track with their education expenses. 7. Don’t take on more debt. Unless you are considering taking out a Debt Consolidation Loan, don’t take on any more debt. This may sound obvious, but it’s easy to be complacent when you’re up to your eyeballs in debt! 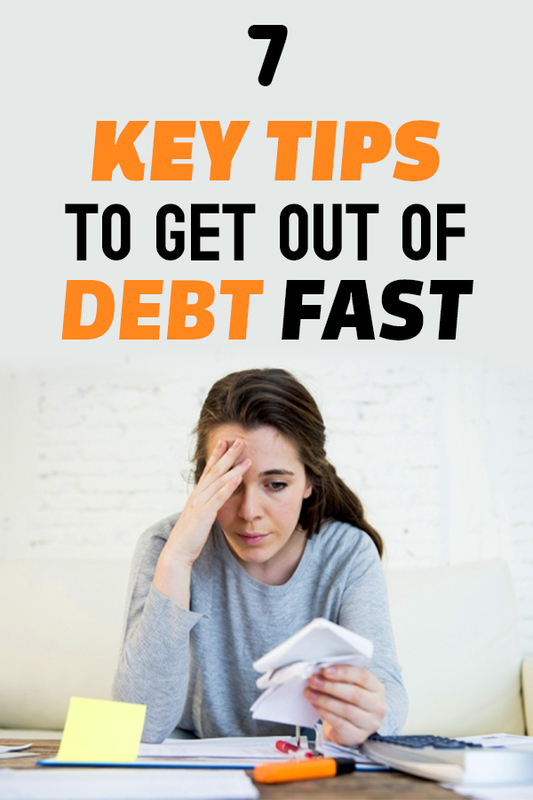 What are your key tips for getting out of debt?